I received Flirt I'm Whipped Cheek Mousse at Christmas. Not a big fan of mousse type blushes, I wasn't sure what I would think. It has such a light, and well, whipped consistency. It blends really well and has great color payoff. My biggest concern was the lasting power. This can be a problem with all makeup for me, so I've gotten it down to what really works. Most of my blushes are MAC. This mousse blush goes all day and looks great. I am very impressed. I also realized another benefit of this blush. With the difficulty in packing toiletries for travel, these are perfect. They can be safely packed in checked luggage and you never have to worry about the powder cake breaking in transit. Flirt comes in a plastic container so no glass to crack. All of these things may or may not be a real concern when packing , but , really, who wants to arrive at their destination only too see an expensive Nars blush in pieces. I'm Whipped sells exclusively at Kohl's, and retails for 12.00, but sales are almost always going on. The blush comes in six different colors. 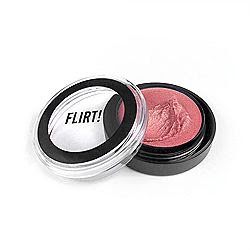 The Flirt line carries an eyeshadow mousse as well. I have only tested mine lightly, but so far I am liking it as well. Stella McCartney's new skincare is available on Sephora.com. It's called Care, and is an eco friendly, organic skincare line. The line even carries it's own ethical charter. Now if only we could more people and organizations to do that.
" Care is formulated with 100 percent organic active ingredients and zero percent petrochemicals and silicones. Officially Ecocert-certified as organic and ecological, the gentle formulas are completely free from chemical preservatives and are protected by simple airless packaging, when required. The fragrance is also made from 100 percent organic essential oils, so your skin can really benefit from nature's resources to help ease the stress that everyday life brings. " This is a luxury skincare line and priced accordingly. Cleansers are 35.00, treatment products begin at 64.00 There is a nice welcome set to try also. The packaging is a simple, off -white, and leans minimalist. Dior has released Mono Eye I color eyeshadows, and while I have not seen them in person( I will rectify that soon), the product looks lovely. Of course it's the case and the makeup embossing that catches our eye more than anything. This has the iconic Dior pattern across the shadow itself, and the case is translucent with the CD initials visible through it. I think the color in the photo is frosted beige. There is a shade called Green Tropic featured in a beauty layout in the February Allure that is simply beautiful . Not just green, but an azure green . The couture collections were in full swing this week in Paris. These are some of the most beautiful and fun clothes we get to see. Each year, I look through to see which dresses I think are Oscar worthy, and this year , to my surprise, it came from Armani Prive. ( I usually pick a Valentino). This is one of the best collections from this house that I've seen in awhile. This dress is simply stunning and would make one of those lovely nominated ladies rule the red carpet. I can especially see this on Helen Mirren, although she usually doesn't do sleeveless. Another look from Armani is this pantset. Not an Oscar look, but unique and beautiful. I am loving all the hats on the runways this year. You can't see the makeup well in these photos, but the models have a dark copper/bronze shade on that is a beauty. Speaking of makeup, I had to include a photo from the Dominique Sirop couture. The makeup here is a bit hard to pull off as is with the white eyelashes, but with a few tweaks it could go real world , real fast. Simply swell. In the colder months , many of us slather on lotion to help keep skin moist and lose the dry, itchy feeling. I think we all know that some lotions are better than others, and this is one of the best. It's from a company called Shikai, and is a natural product with some organic ingredients plus no parabens, no animal products or testing. The ingredient list is a short one, which is a good. The secret to this lotion doing a better job than most at really helping dry winter skin is borage oil. Apparantly borage oil is able to get past the surface layer of the skin, unlike most other lotion products. "Borage oil, extracted from the seeds of the borage plant, is a natural source of gamma- Linolenic Acid (GLA), an important OMEGA-6 fatty acid which the body uses in making skin cells. Without sufficient GLA, cell membranes can't retain enough moisture and skin becomes dry and rough. Ordinary moisturizers work only on the skin's surface. But borage oil penetrates deeper and delivers GLA and its benefits to the cells. As a result, skin cells retain more moisture." I can personally attest to this working when the winter wind blew it's coldest. It is also good for anyone suffering with skin problems year -round. The sugg. retail is 13.50 per 8 oz. bottle, but better deals can be found. The product is available at Shikai.com, as well as Vitamin Shoppe stores, and Whole Foods markets. Also check your local natural health store. A facial care range has also recently been added. Calling all Guerlain ladies( and I consider myself one of them , if only at a beginner level) this gorgeous bottle of pillow spray is now available at Bergdorf's. Meant to be sprayed on your pillow, it has notes of bergamot and orange blossom. Can you imagine this gracing the bedside table? Spritz and magically be transported( at least in your mind) to a boudoir in a French chateau. 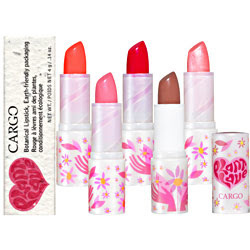 Cargo has launched Plant Love-the first lipstick to contain totally recycled packaging. It contains wild flower seeds - just wet and grow. The tube is the first ever on the market to use polyactic acid (PLA) instead of a traditional petroleum-based plastic as the base of most lipstick tubes . PLA is made entirely out of corn and is said to be completely renewable within the space of 100 days. The box that the lipstick comes in is also biodegradable. 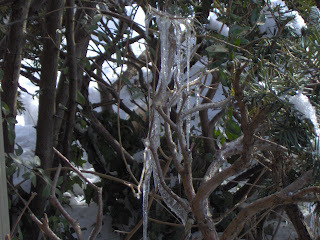 It is embedded with seeds from wild flowers. According to Cargo, the packaging simply has to be moistened with water and then it should start growing. I simply love this idea, and hope that it catches on more. In the meantime, these lipsticks are a great start in using more recyclable packaging. The PlantLove collection of lipsticks includes 12 new shades some of which were designed by celebrities Courtney Cox, Mariska Hargitay, Lindsay Lohan, Evangaline Lilly, Sarah Chalke and Maria Menounos. This lipstick also has no mineral oils or petrolatums. In other words, it's good stuff. Retails for 20.00. Kudos to Cargo for going the enviromental route. This is for Annieytown over at Blogdorf Goodman, who seems to always be on the quest for a new/perfect red lipstick. L'oreal is coming out sometime next month with a new lipstick to match the color of the red in the Target logo. Oh Fashion, and Shoes, SHOES I say. 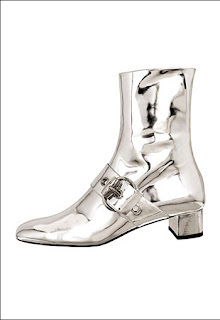 These boots from Gucci are so fab, I can't say enough. a strobe light silver, they come in black patent too. Alas, I will not be actually purchasing them, but will be an ardent admirer. It's snowing here, something it rarely does. It looks lovely. 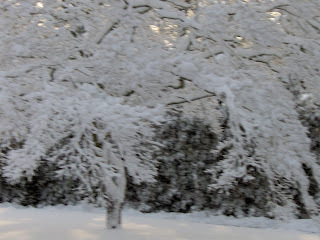 Winter finally arrived in this neck of the woods . The temps dipped into the low 30s with colder windchills. One of the most pressing winter beauty issues is chapped lips . I am a confessed lip balm fanatic and have put many to the test. Most have a place on the shelf and despite having a large collection, I do use almost all of them. There is one major standout however, the one that works in even the most difficult of times- pure shea butter. My personal favorite was Fresh's Chocolate Orange one, but that is harder to get now. 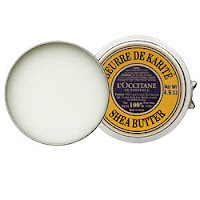 L'Occitane is now the go to shea. When fighting and suffering from a wicked cold/flu earlier this month, my little tin of shea kept the lips and nose from cracking. I slathered it on several times a day. It worked. It also works better than anything for severe chapped lips and the part of the eye that tends to get very dry in this windy cold. It is also pure, with no additives. A small tin goes for 8.00 and will last eons. Use it also on hands, knuckles, etc. It's truly all purpose. L'Occittane has also just released a shea eye balm. I have yet to try this, but will just as soon as I can get my little hands on one. Yum. Other lip balm lovelies include the tinted Savannah Bee ones from Bath and Body Works. Medium moisture, with great color. Tinted lip balms are always on my radar and I like these even better than MAC ones. They have been on sale for 2.00. 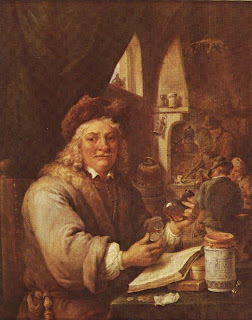 The Alchemist is a fashionista, perfumista, makeup nut. My aim here is to provide as up to date info on the newest things out there that either catch my fancy, or perhaps will catch yours. I also plan to review items as I can, and post some helpful beauty hints that i have found thru the years, and I have many. I have been a beauty nut since childhood , really, so there is plenty to share. Hopefully all of this will prove entertaining and useful to the readers. 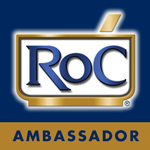 Thanks and please come back often , as I have some interesting posts planned including a review of a highly anticipated new fragrance.